Our developers on their favorite talks. 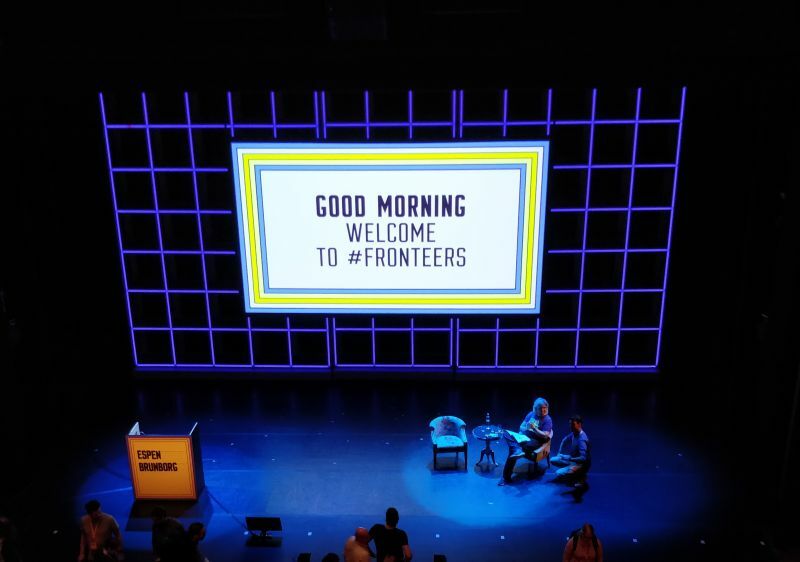 Last week was the 11th Fronteers conference, in Amsterdam. They call it “one of Europe’s premier conferences on front-end web development”, and who are we to disagree. Some of our developers had been counting down the days as if it was their birthday party. With the conference still fresh in our minds, we let those developers give a quick overview of their favorite talks and implications. An illuminating talk about how we have to use more magic in our user thinking and design process. Aliorra builds her ideas on three big pillars: misdirection, illusion, and mental forcing. Aim the user’s attention to a specific location on the page (misdirections), turn your users’ expectations around, amusing them (illusion), and create a preference for your product by communicating trust and shared values (mental forcing). This talk taught me that it is important to know your target audience and to understand their needs and goals. Only then will it be possible to create designs and flows, not unlike magic tricks, that persuade your users into doing what you want. Stefan Judis - What the v…DOM? Judis gave us insight on how the VDOM or Virtual DOM works and what it’s based on. Not an easy subject for a single talk, but he explained the basics quickly and concisely: how code gets transformed to AST (abstract syntax tree) and how we can manipulate this process to our advantage (like babel does to transform ES6 to vanilla JS). Moving on to the actual VDOM, he showed us what’s happening behind the scenes, how the vDOM is created using hyperscript, for example, and how React uses this with their JSX in components and Vue for its templates. The talk was a lot more technical than most of the other Fronteer talks, which is part of what made it stand out to me. I use VDOM pretty much every day, but knowing what goes on in the background gave me a new appreciation for it. The most important takeaway was to avoid holes in arrays. If an array contains holes, even if they’re filled up later on, they are marked as holey arrays. These arrays are not optimized for doing operations on them. So, always avoid them as much as possible. We are honored that one of our own, Raf Ceuls, has been asked to teach at the Interactive Multimedia Design (IMD) course of the bachelor Informationmanagement and Multimedia at Thomas More in Mechelen.